My number one sports photography tip - The Background. As soon as I am commissioned to photograph a sport, my first thought is what will the background be? If I have any choice in how I compose the picture, (sometimes as a sports photographer you have to go where you are put by officialdom) as soon as I arrive on site I will be looking at the surroundings for a background that will complement the subject. Generally there are two types of background. The out-of-focus (OOF) background and the background containing a lot of detail. My favourite is the OOF because this removes any distractions going on behind your subject and leaves your eye to view only the main activity in your sports photograph. This technique is achieved with standard (50mm) or longer telephoto lenses, combined with a wide aperture such as f2.8. Using a 50mm lens at f2.8 the background of for example a head and shoulders portrait will be nicely out of focus. By using this technique you are exploiting the aperture's Depth Of Field (DOF). DOF is the area of focus in front of the lens. It can be measured in centimetres or kilometres. A wide aperture like f2.8 gives you a short depth of field (or area of sharp focus) in which you place your subject. Anything outside the area of depth of field is out of focus. (A new word for this out of focus area is bokeh and is very popular now). However there may be a time when the sport you a photographing takes place somewhere that adds so much to the sense of what is happening in your shot. Time then to take that photograph using a smaller aperture like f8. As the aperture becomes smaller, the area in focus extends in front of and behind the subject (Assuming of course the subject is in perfect focus no matter what the aperture is set to.) 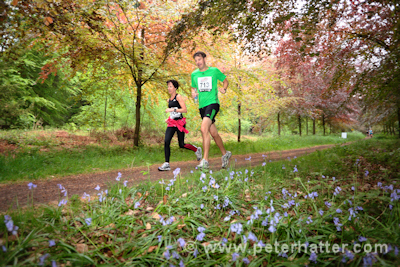 A typical sport where this might apply is a fell running event where the race takes place in a landscape that would be ripe for a photograph even if there were no sporting action taking place. So by reducing that aperture and extending that depth of field more of the background is revealed to the viewer of your sports picture. Remember as we said earlier that the focal length of your lens will also play a part here. Longer focal lengths have a shorter depth of field. At the same aperture a 135mm lens will have a much shorter DOF than a 50mm lens and a 20mm lens will have a longer DOF than the 50mm. Many professional sport photographers exploit this technique when using a telephoto lens for their work. The background is nicely blurred at typical telephoto lengths ensuring the viewer’s eye is drawn immediately to the main feature of the photograph. 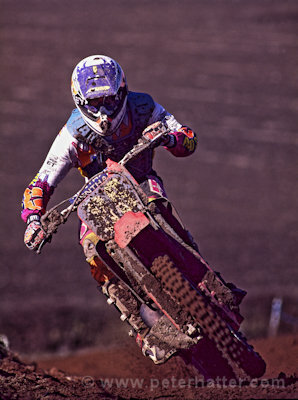 The motocross shot at the top of the page was shot with a 300mm and around an F4 aperture. Combining this very small depth of field with a plain background has really isolated the rider and the bike. The runners were shot with a 20mm lens so you can see how all of their surroundings has been captured by this wide-angle to become an important part of the picture adding so much to the story. Of course it's not just sports photography that can benefit from this consideration. Just about any picture will be improved if you consider what impact the background will have on the main subject. When you're supplying images to cycling's governing body, you know you're at the top of your game. We talk to Graham about his career. 10 tips to help you take your best sports photographs ever!